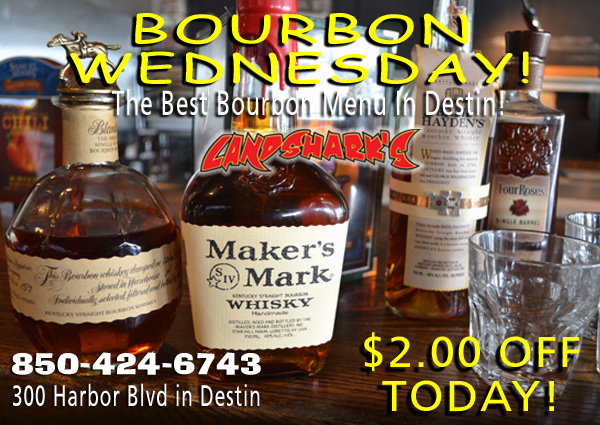 / Destin FL Buffalo Hot Wings / Landshark’s WINGSDAY Wings only 69¢ & $2 OFF ALL BOURBONS plus Hoops, Hockey & ASTROS vs NATIONALS MLB! 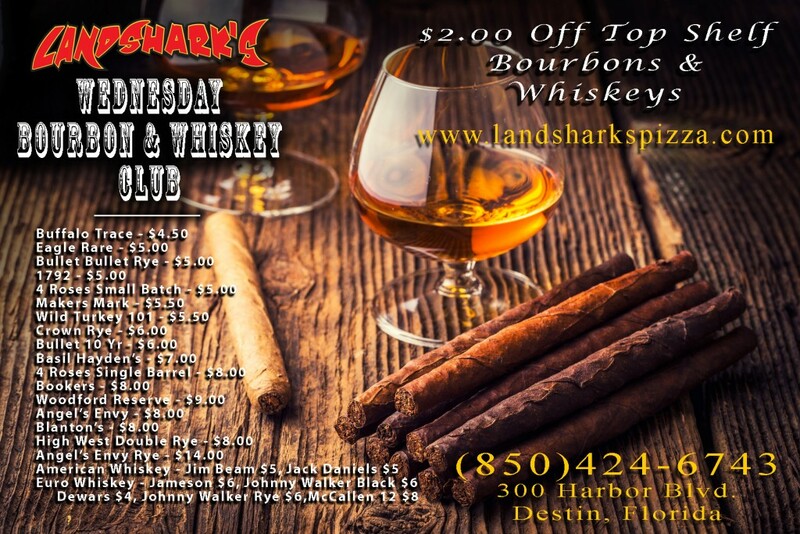 Landshark’s WINGSDAY Wings only 69¢ & $2 OFF ALL BOURBONS plus Hoops, Hockey & ASTROS vs NATIONALS MLB! 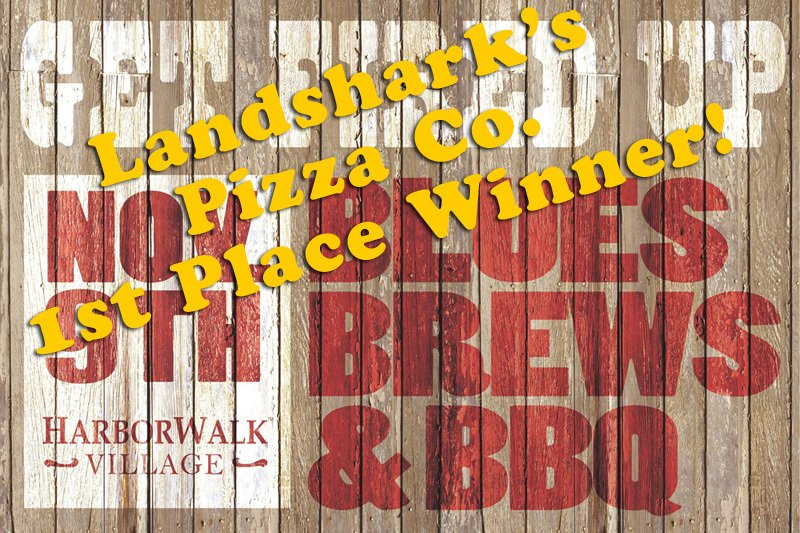 Crispy, spicy & DELICIOUS wings at Landshark’s on Humpday for WINGSDAY with NBA, NHL & early Major League Baseball – Eat & Cheer with Wings & Beer! Wednedays are WINGSDAYS here because you get juicy & delicious Award-Winning wings for only 69¢ each ALL DAY LONG! Choose from among more than 20 sauces and rubs to compliment! 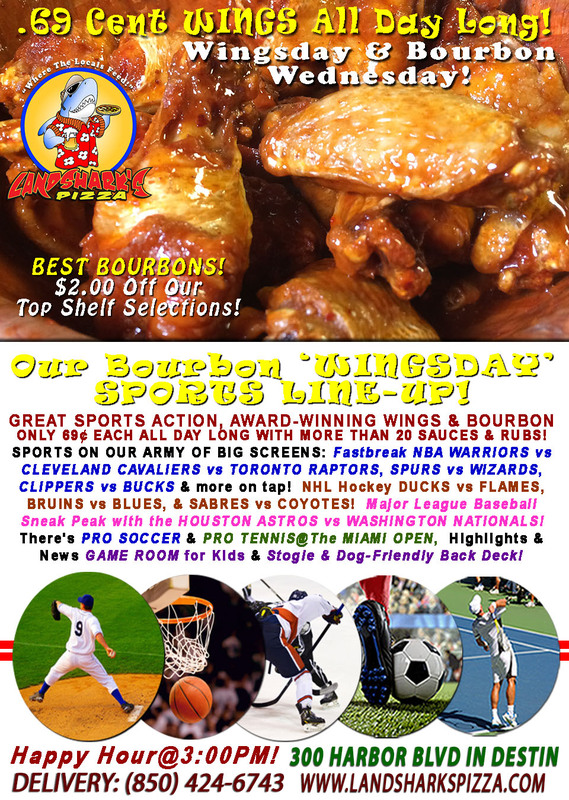 SPORTS ON OUR ARMY OF BIG SCREENS – NHL Hockey Action DUCKS vs FLAMES, BRUINS vs BLUES, & SABRES vs COYOTES! NBA action WARRIORS vs CLEVELAND CAVALIERS vs TORONTO RAPTORS, SPURS vs WIZARDS, CLIPPERS vs BUCKS & more on tap! An early look at Major League Baseball with the HOUSTON ASTROS vs WASHINGTON NATIONALS! 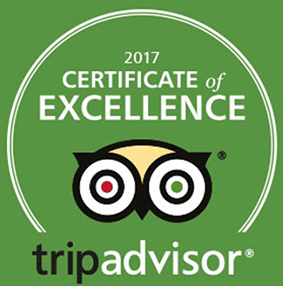 There’s also PRO SOCCER and PRO TENNIS@MIAMI OPEN coverage plus plenty other Sports Broadcasts, Sporting News, Analysis, and Commentary! NCAA PLAYOFFS This Week: The Sweet 16 NCAA Men’s Basketball Tournament! NASCAR This Week (Xfinity off this week): Camping World Trucks Series (Sat Mar 24) & Monster Energy Series both@Martinsville Speedway (Sun Mar 25). 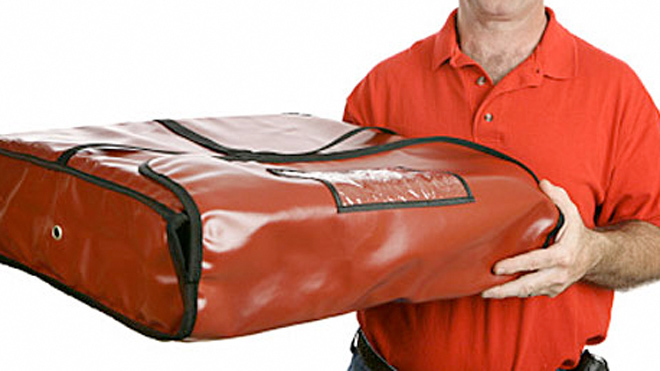 The delivery guy is standing by, praying you’ll put him to work so he doesn’t have to go back to his job as a chubby exotic dancer. 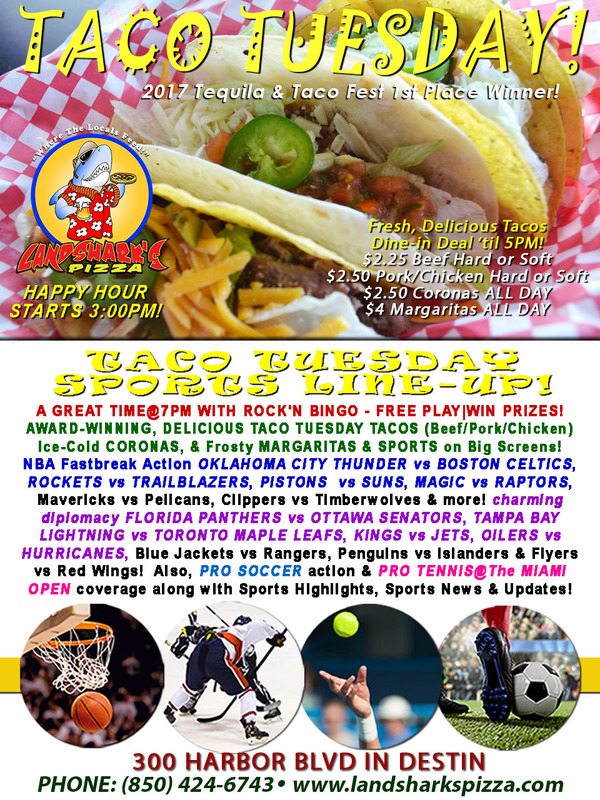 Previous Post: « Enjoy Landshark’s Taco Tuesday Specials, THUNDER vs CELTICS & LIGHTNING vs MAPLE LEAFS & ROCK’N BINGO at 7:00PM!